If you’re looking for a home away from home just steps away from all the fun in Gatlinburg, look no further than our condos! 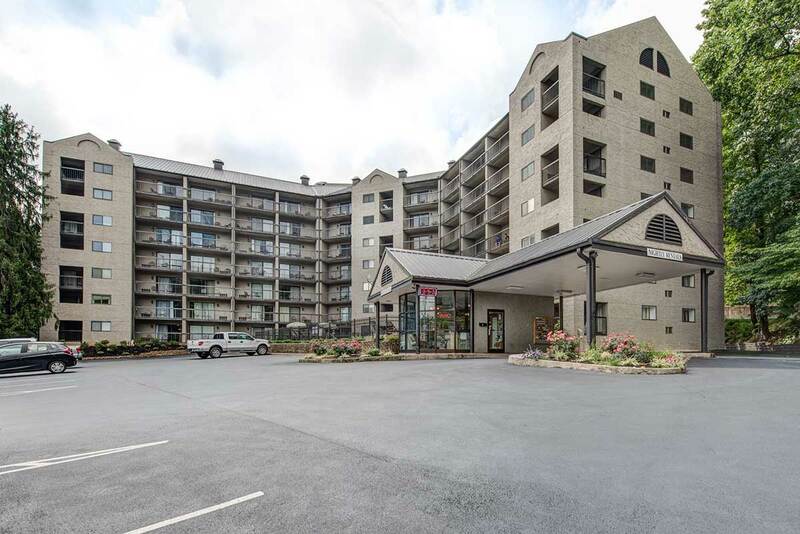 From their affordability to their location, our Gatlinburg condos can’t be beat. To learn more, check out these 5 things to know about our condos in downtown Gatlinburg TN. Our condos are perfect for all occasions! Whether you want to stay in a 1 bedroom condo for a romantic getaway or a 2 bedroom condo for a family vacation, we’ve got it all. A majority of our 1 bedroom condos have a Queen bed and a Queen sleeper sofa, so can sleep up to 4 guests. Some even come with their own private balconies! Our 2 bedroom condos are perfect if you want a little more space. There is a Queen bed in each bedroom, as well as a Queen sleeper sofa in the living room! There will be plenty of space for everyone. If you’re traveling with a bigger group, stay in a Gatlinburg Village Condo, which has 3 bedrooms. The best part about staying with us is you will be within walking distance to downtown Gatlinburg, meaning you’re just footsteps away from all the excitement! Walk to Ripley’s Aquarium of the Smokies and interact with your favorite aquatic animals, or take a stroll along the Parkway and browse all the incredible shops. You’ll save time not having to sit in traffic or find a place to park and can spend more time having fun! If you don’t want to walk or drive, you’re in luck! Our condos are right on the Gatlinburg Trolley route! Gatlinburg has 20 trolleys that service about 50 miles in and around Gatlinburg, so you’ll be able to explore the area for a small fee. This helps you save on gas and parking, and gives you more opportunities to see the sights! Another thing you should know is we offer last minute deals! If you want to get the best deal on your Gatlinburg vacation, sign up for our last minute deals. These deals get you exclusive access to the best offers! Signing up is easy — all you have to do is enter your mobile number and you’ll automatically be the first to know about any special offers we have. It’s the best way to save money on a great place to stay! When looking for a place to stay, you want something that feels just like home. Our condos make the perfect home away from home in Gatlinburg! You’ll have all the comforts of home like separate living and sleeping areas, free wireless internet, and a kitchenette! The kitchenette comes with a full-size refrigerator, microwave, coffee maker, stove, and dishwasher. Our 3 bedroom condos come with a full-size kitchen! Some of our condos even come with private balconies that overlook our seasonal outdoor pool and hot tub. You’ll love everything about our Gatlinburg condos! Take a look at all of our condos in downtown Gatlinburg TN and choose the perfect one for your vacation.